Kayak Lakes of Killarney & Climb Carrauntoohil! This is a list of the basic equipment you need to take to the hills or lakes and discover what Ireland has to offer! 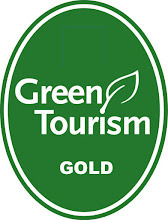 A team of highly valued repeat customers has developed, who regularly come on training courses and adventure breaks. As a thank you to this community of people, who are the most valued of all my customers, I'm launching a loyalty card. When you have done eight days activities you are entitled to a day's activities completely free of charge! Loyalty card can be used for all bookings from 19th Feb '09. Loyalty card must initially be asked for at time of booking. 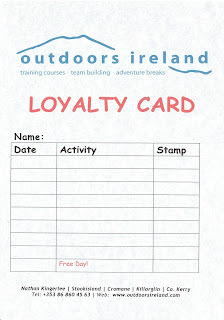 Loyalty card must be brought on each training course or adventure break in order to have it stamped. Loyalty card is specific to each person and cannot be transferred. Your ninth day's free activities must be booked in advance. Your ninth day's free activities covers activities only. Any other costs, such as transfers or accommodation, are not covered. Thanks for your highly valued repeat business! Kayaking, Rock Climbing & Hill Walking Adventure Breaks in Killarney, Kerry! Contact Nathan on info@outdoorsireland.com or 086 860 45 63. Experience the excitement and adrenaline of rock climbing in the Gap of Dunloe, Kerry; or Dalkey Quarry, Dublin. During a two-hour session you will learn to use climbing gear, tie knots, belay and try climbing techniques as well as being given information about our upcoming two-day Rock Climbing Courses and Scrambling Courses. All equipment will be provided. The promotion is sponsored by Sport Corran Tuathail, Killarney's Outdoor Shop, and now available online at www.sct.ie Sport Corran Tuathail stock an exciting range of climbing, hiking and canoeing gear, for novices and experts alike! Alternatively, if you would like to do a full day's rock climbing and abseiling, I am running a day's climbing at a discounted price on Sat 4th April in the Gap of Dunloe, Kerry. The discounted price is €65 per person. 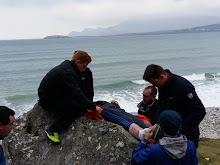 Click here to view the video in higher quality on our facebook group, Outdoors Ireland. Copyright RTE & Tyrone Productions.